Fresh lavender blossoms grounded and baked into shortbread cookies. 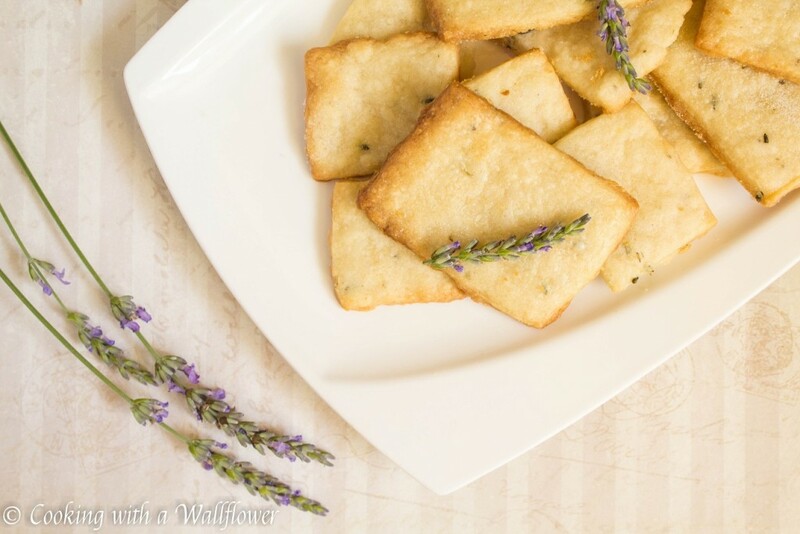 These lavender shortbread cookies are delicious and perfect with tea. I love summer when so many fruits and vegetables are in season. My sister and I went to the Farmer’s Market to buy a few items and ended up with a lot more than we planned. Does that happen to you too? What I also love is the array of fresh flowers. So many pretty flowers, bright and fully blooming. We decided to buy a bunch of fresh lavenders for the aromatherapy. With my sisters studying for midterms, we thought we could use a little calm in the house. The vendor told me when I asked, that these lavenders were culinary quality, which means I could use them to make drinks and bake. 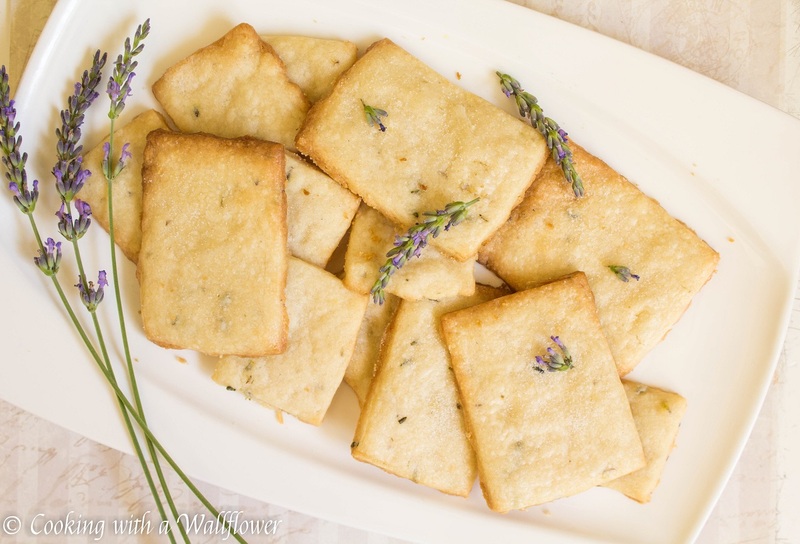 The first of very likely many recipes to come, at least until the lavender blossoms are gone, is this: lavender shortbread cookies. 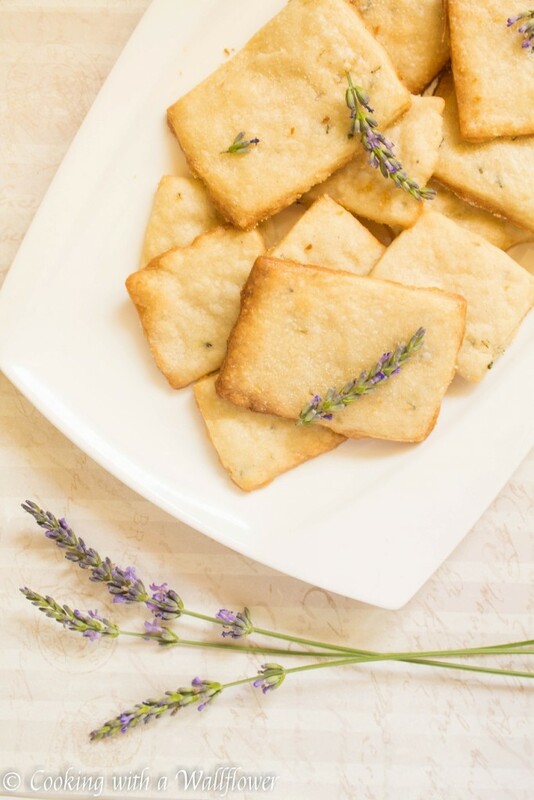 I love that these shortbread cookies are buttery, slightly sweet, and lightly aromatic from the lavenders. Just the tiniest hint of lavender because too much would probably remind you of a bottle of air freshener. These cookies are delicate, buttery, and perfect for those afternoon tea parties. This recipe make about 15-18 cookies. It really depends on how you roll them out and how big you cut them. As you can see, I totally fail at cutting straight equal cookies. But my cookie cutter is way too big for this batch so I had to make do with cutting them into imperfect rectangles. First, remove the lavender buds from the stem. You’ll want a little over half a tablespoon. Place the lavender buds and about a tablespoon of sugar into a bowl, and grind them. You can use a pestle and mortar. I actually just used a muddler to crush the lavender blossoms. This process helps infuse a little bit of the sugar with lavender. In a medium to large sized bowl, cream the butter, the rest of the granulated sugar, and the lavender infused sugar. If you forgot to take the butter out of the refrigerator to allow it to warm to room temperature, I find that the butter is easier to work with if you cut them into small cubes. Once the butter and sugar is creamed together, add the flour. Mix until the flour starts to form dough. At first, it’ll appear crumbly, but as you mix them, dough will start to form. Roll the dough into a ball, wrap in plastic wrap, and store in the refrigerator for at least a half hour to allow the dough to become firm. Preheat the oven to 350F while the dough is chilling. Line a baking sheet with parchment paper and set aside for now. Once the dough has chilled for at least half an hour, remove it from the refrigerator and roll the dough until it’s about ¼ inch thick. It might be easier to cut the dough into quarters before rolling them out. The dough will be pretty firm after being chilled. Cut the dough into 15-18 square pieces, or you can use a cookie cutter. Place the cookie dough onto the baking sheet and sprinkle the top with sugar. Place the baking sheet into the oven and bake at 350F for about 8-10 minutes or until the edges of the cookies turn brown. Remove the cookies from the oven and allow them to cool for several minutes on the baking sheet before transferring them to a wire rack to cool. You want the cookies to cool before you move them. Otherwise, the cookies will break apart. Serve the cookies with tea or milk. 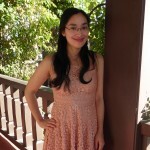 Join in me and other food bloggers at Fiesta Friday! 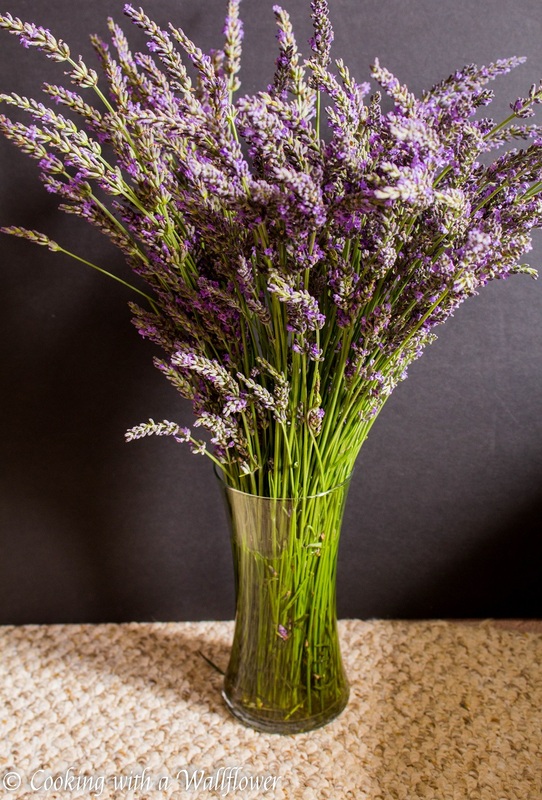 Remove the lavender buds from the stem. 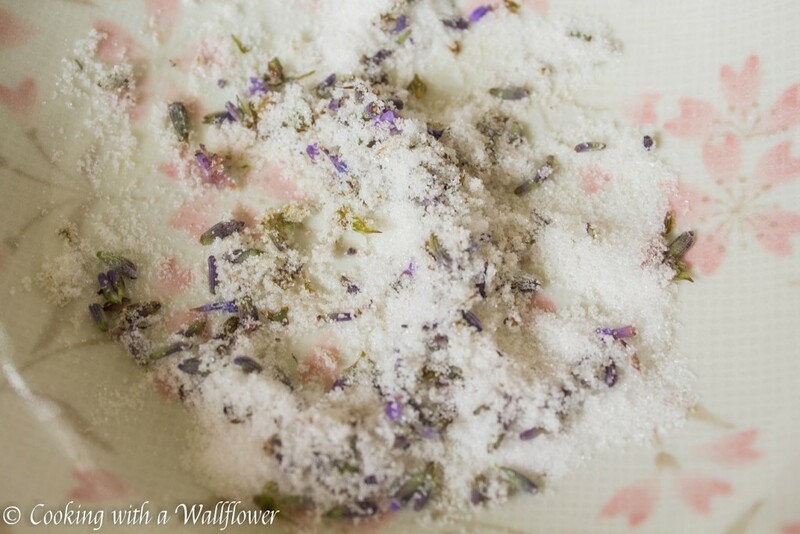 Place the lavender and about a tablespoon granulated sugar into a bowl. Grind the lavender to infuse it in the sugar. You can use a pestle and mortar or a bowl and a muddler. In a medium to large bowl, cream the butter, the rest of the granulated sugar, and the lavender sugar until they appear smooth. Add the flour to the bowl, and mix until dough forms. At first, the dough will appear crumbly, but it will start to appear dough like. Roll the dough into a ball, and wrap it with plastic wrap. Refrigerate the dough for at least a half hour to allow the dough to chill and become firm. When the dough is almost ready, preheat the oven to 350F. Line a baking sheet with parchment paper and set aside for now. 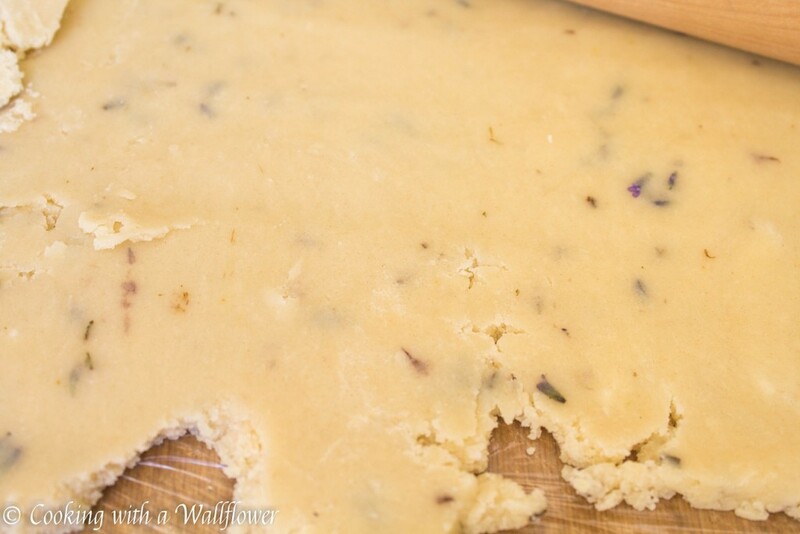 Remove the dough from the refrigerator, and roll them flat to about ¼ inch thick. It may be easier to cut the dough into quarters before rolling out the dough. 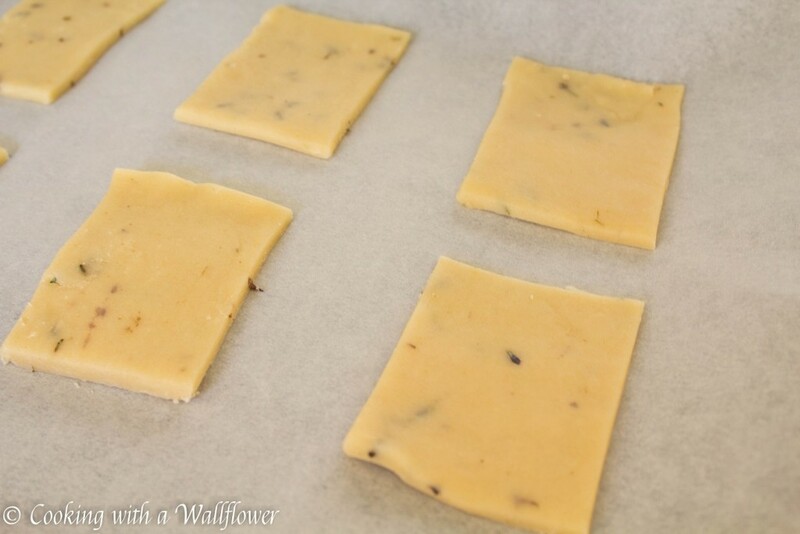 Cut the dough into 15-18 even rectangle pieces. Place the cookie dough onto the parchment paper. Sprinkle the top of the dough with sugar. Bake the cookies at 350F for about 8-10 minutes until the edges are browned. Remove the cookies from the oven and allow them to cool on the baking sheet for several minutes before transferring them to a wire rack to cool. Make sure to let the cookies cool before moving them. Otherwise, they will break. This entry was posted in Cookies, Desserts, Quick and Easy, Recipes, Snacks, Vegetarian and tagged cookies, dessert, lavender, quick and easy, under 5 ingredients, vegetarian. I hope you’ll like it, Sue! I tried these once–almost the same recipe as yours–and found them odd at first. Then they grew on me and I ate them all in a couple of days. Oops. I love Lavender in baked goods!! It’s the best 😀 I remember going crazy during flowering season trying to get as much out of them as possible and now I miss my Lavender plants! This is a delicious way to use them… I would love to try them! 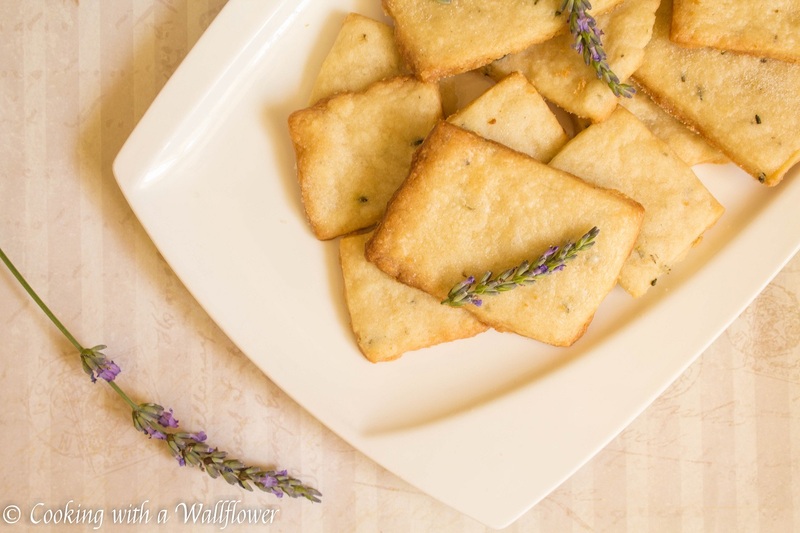 I love shortbread and can imagine lavender is a lovely addition. Thanks for sharing! Welcome to Fiesta Friday and thanks so much for your wonderful lavender shortbread cookies. I know where I’ll be hanging out at the Fiesta :). Whenever I visit the market, I too come away with so much produce that my refrigerator is full to bursting! I didn’t realize that there was only certain types of lavender that one could bake or cook with? I’d love to make these cookies, but I’m not sure if my lavender would be ok for it?